The FTSE 100 index of leading UK company shares finished the week at 5,261.57, up 17.20 points or 0.33% on the day and down 60.79 points (-1.14%) over the week. As the festive season draws ever closer, the team at Informed Choice would like to wish you a very Merry Christmas and a Happy New Year. In keeping with previous years, we have once again decided to make a donation to charity instead of sending Christmas cards. Informed Choice Chief Executive Nick Bamford recently took part in a webcast, answering questions about the Retail Distribution Review (RDR). As we start to pour over the detail in the Pre-Budget Report, our initial reaction is that pensions appear to have escaped quite lightly. There were several pension announcements within the Chancellor’s speech and the report. Chancellor of the Exchequer Alistair Darling delivered what could be his last ever Pre-Budget Report to the House of Commons at 12.30pm today. Here are some of the highlights. Follow our live coverage of the Pre-Budget Report from 12.30pm today (Wednesday) as we comment on financial planning developments using Twitter. 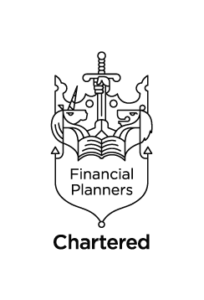 Informed Choice chartered financial planner Martin Bamford was quoted in the Telegraph today, in an article exploring the pros and cons of ethical investing. The weekend papers are always an excellent source of personal finance stories. With so many papers to read and so many stories to digest, here is our pick of the five most important personal finance stories this weekend. Over recent months there has been plenty of debate about what has been driving higher gold prices. Gold reached a record high of $1,226.56 an ounce during trading this week, but finished more than 5% lower at $1,161.40 on Friday. The FTSE 100 index of leading UK company shares finished the week at 5,322.36, up 9.36 points or 0.18% on the day and up 76.63 points (+1.46%) over the week. The index has risen from 4,434.20 since the start of 2009, a rise of 888.16 points or 20.03%. Over a year the FTSE 100 has risen from 4,163.60 (1,158.76 points or 27.84%).